We strive to provide our clients only the best quality products that deliver the excellent results our clients expect. As such, we have reached exclusive agreements with some of the most respected European manufacturers of skin care products such as ROSA GRAF and Heitland Cosmetics of Germany and KLERADERM of Italy! 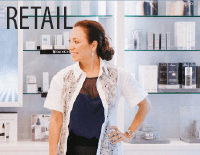 We offer to our clients a complete range of products both for cabin use as well as their associated retail products for use by their clients at home. 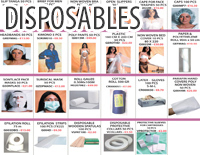 As you can see below, our offerings include not only skin care products and treatments, but also other neccessary products essential for the smooth operation of the beauty salon, such as disposables and basic salon equipment.. MONTHLY SPECIAL OFFERS. As part of our continous commitment to our clients, each month we have several products (cabin. retail and treatments) on special offer. More than 10-15 different products are on special offer each and every month! We offer exceptional, effective treatments to cover the needs of even the most demanding beauty professional. 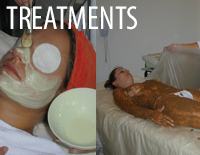 We currently offer over 70 cost-effective treatments to choose from. All the basic salon equipment and furniture is available. 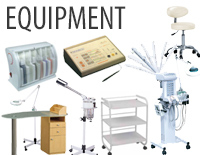 You will find steamers, magnifying lenses, trolleys, nail stations, high frequency, ultrasound, beds and stools among others. 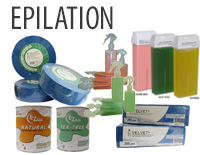 Cartridges and tin wax are available as well as spatulas, epilation rolls and strips. 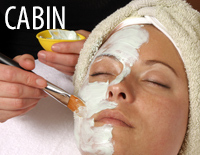 In addition we provide wax epilation heaters as well as paraffin in spray form. 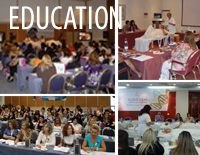 We organize 3-4 professional seminars each year, where new treatments are presented. For information on our seminars and dates, please inquire by email or give us a call at 22756570 or 22754005.